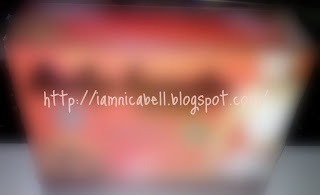 NicaBell's Beauty Blog: NicaBell Personal: My 5 Personal Update! I have several news to share! I have only weight myself this early evening that am 67kg. Last week, on Thursday I think, my weight was 69.5kg. Yes. My weight gone up from 68kg to 69.5kg and down to 67kg! How bad and turns great was that! *patting myself* Good job NB! I stop drinking Passion Slim for week last week because I was sick and only resume back today. I guess I doesn't necessarily need the drink to slim down, huh? I have schedule many product reviews. Most of them are affordable and great to use even though I cringed when I actually saw the ingredient list. I also will be reviewing these three items in the next coming month. 2 of them are FOC. No, they are not sponsored. I got one of them from CLEO mag (my fav mag~) and another one are from buying a combo pack of pantyliner. I am in a process of gathering, searching, studying, learning, doing, and errr...... typing away to build a beauty glossary. I am building it for you, my dear dear readers. 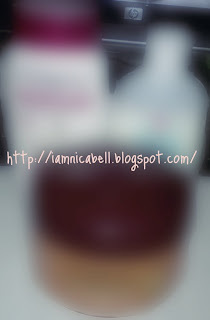 It is for your reference on what each beauty/cosmetics/skin cares' ingredient and wording. It will be added and changed from time to time depends on new studies and new found ingredient that I have done learning of or as requested. So when the glossary is up, I am hoping that every one can check it out and comment if I have given any wrong information so I can improve and update the page. I have made a Facebook Page, Twitter Account, Tumblr and Formspring. I am still new in the Facebook page thingy; not very familiar with Twitter and is trying to grasp the new social web; Not much posted in Tumblr & Formsping yet. So add, follow, ask, like, love, comment, and do what every thing nice you can do. I love interacting and sharing information as well as making new friends with people. I am not always on the net but I will try my best to be. So that conclude the post and..